There are 2 versions of this mod. Features 6 Special abilities with additional customization like combining abilities and special screen effect. Press CAPSLOCK to activate or deactivate your ability. Open statbox to see Special meter, then hold CAPSLOCK to see Special status bar instead. There are 6 abilities available to install, each abilities have their own way to fill the ability bar. An in-game introduction will provide basic info of it. Slows down time of surroundings. Based on III and VC's Adrenaline. Doubles weapon damage. Based on GTA2's Double Damage. Nullifies any damage taken. Based on GTA2's Invulnerability. Sharpen vehicle handling and slows down time slightly. Based on GTAV's Franklin ability. This mod includes important .ini file that adjusts many settings to customize your special ability and overall interface. Make sure to take a look at it. Changes made here will applied after reloading save. Instantly fills special meter cheat code: Type "POWERUP" or "VGIGYANW" or "MKKKLM"
Instantly max out Special stat cheat code; Type "WHONEEDSPILL" or "VZEKTUAH"
As your Special stat rises, it also takes longer to fully fills your ability bar. As there's many mods that tweaks HUD, Several adjustment might required to display special meter properly, depending on your screen settings and mods that tweaks your HUD. Any feedback will be appreciated, feel free to report any bugs or crash. Silent - For giving various solutions to my script. Wesser - For his clue and his code snippets. astitva - For his GTAV abilities mod which i use as early reference. 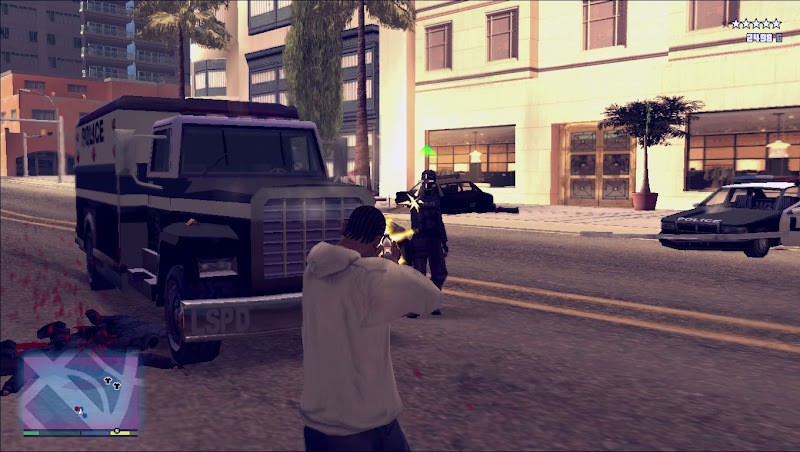 DMA Design (a.k.a Rockstar North) - For adding epic power-ups in GTA2 and III which is main inspiration of this mod. - Kill, drive and damage no longer increase all abilities. - Removed Quick kill, bullet hit and low health multiplier gain on ability meter. - Removed "AbilityText" setting. Changing ability bar text can only via fxt. - "Vehicle destroy" activity replaced by 'Chain Kills', which is killing another ped quickly with guns. 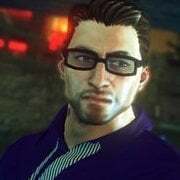 > Using projectiles, fire and melee doesn't count. - Another slight change to Special increment from activities. Double Damage emulated by obtain player's current weapon's damage from weapon.dat and doubles it while aiming or shooting. Which means if during that specific time other ped fires same exact weapon with same skill, their weapon damage will be doubled as well. There's no workaround found so far. Sharp Handling imitates Perfect Handling cheat (which only affects cars) because opcode 0423 somehow only affects motorbikes. This handling is way exaggerated, lower handling might be preferred so time-slowing effect can be removed. There's no workaround found so far. 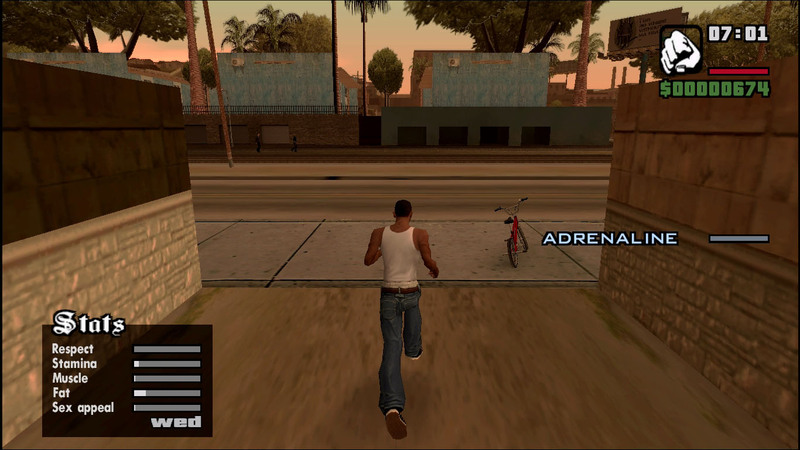 Features Adrenaline from GTAIII and GTAVC as Special ability. Precursor of Special Abilities mod and updated as alternate version of it. Press CAPSLOCK to activate or deactivate Adrenaline. Open statbox to see Adrenaline meter, then hold CAPSLOCK to see Adrenaline status bar instead. Several activities will increase your adrenaline, an in-game help will cover basic info about your ability upon the first time you activate your ability. Additionally, your handling and aiming can be improved by practice often during Adrenaline state. Enable custom adrenaline meter, with adjustable color, size and position. 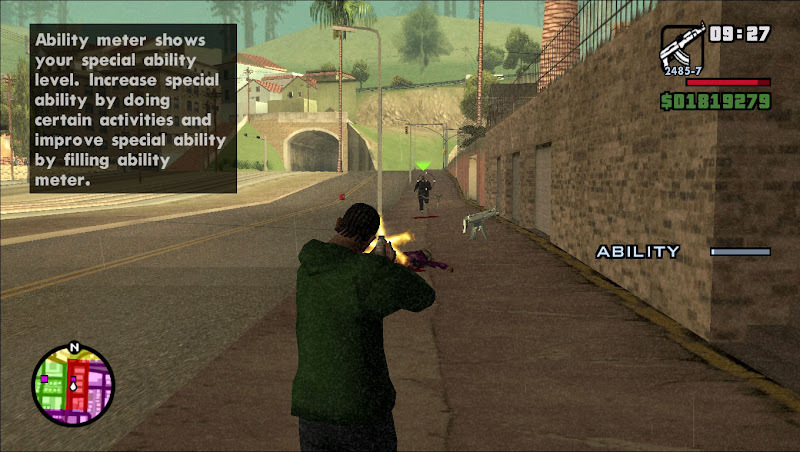 Enable special screen effect when ability active, similiar to GTA V. It's color is adjustable as well. 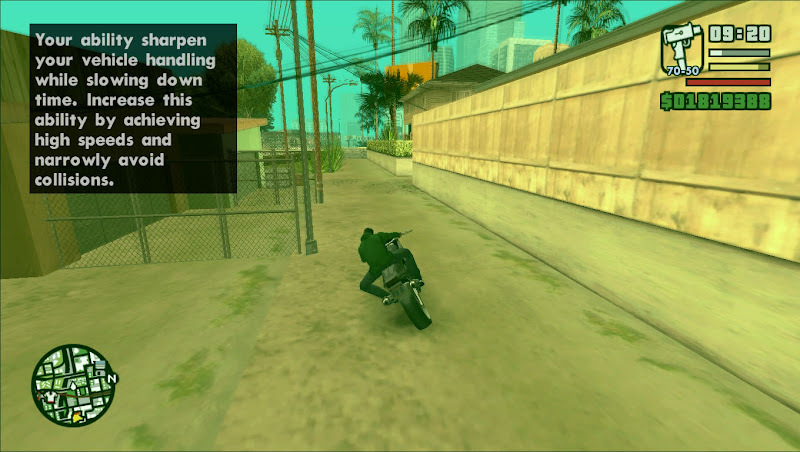 Enable functional special meter of GTA V HUD mod by DK22Pac. *These settings will carried over savefile and can't be changed unless you started new game. 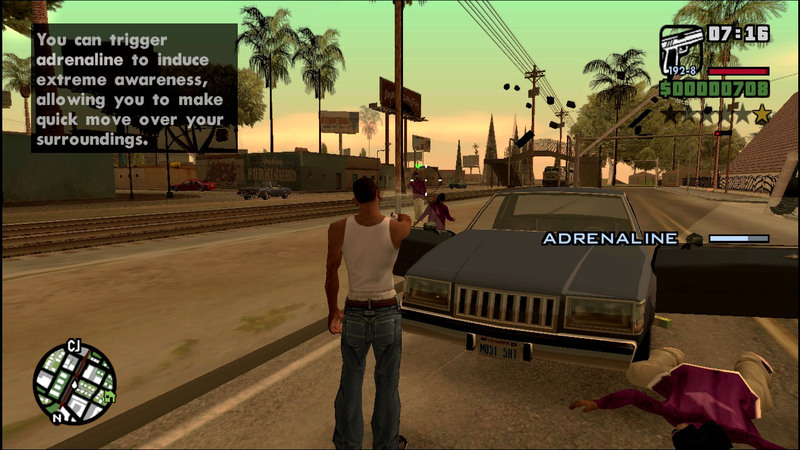 - The only available 'ability' is Adrenaline, which is a power-up that goes well with GTA theme. - By practicing, improved vehicle handling and aiming can be obtained as well, compared to Special Abilities, which only combine two abilities, this ability technically combine three abilities without significant penalties. 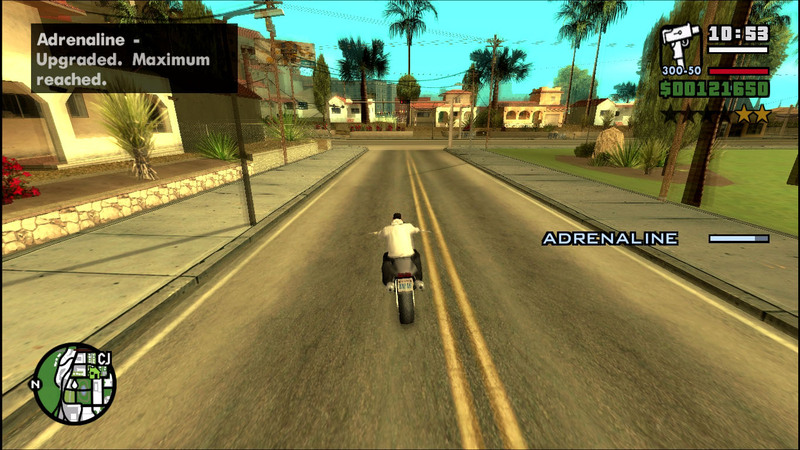 - Adrenaline 'levels' rewritten entirely. Transition for each level from low stamina to max stamina now smoother. - Previously, adrenaline state grants player total invulnerabillity - now it only grants player Bullet-proof and Melee-proof. - Adding in-game help and skill upgrade notifier. > Chain kills increases adrenaline if performed with guns, not with melee, fire, explosives or projectiles. Cool mod but if you ,make a next version pls can you make a config for what button to choose instead of CAPSLOCK? ;Ability Bar : Shows Ability bar. Set to 0 to disable bar. ;Start Bonus : If set to 1, ability skill will unlocked from beginning. In case you don't get what it means by 20 = Capslock, there's table image named Virtual key table.png inserted in each mod files as reference for each button. Now every abilities can be featured without unnecessary different mod files, config file plays bigger role. Now players can also combine two abilities to make advanced ability, there are 15 different combinations available. 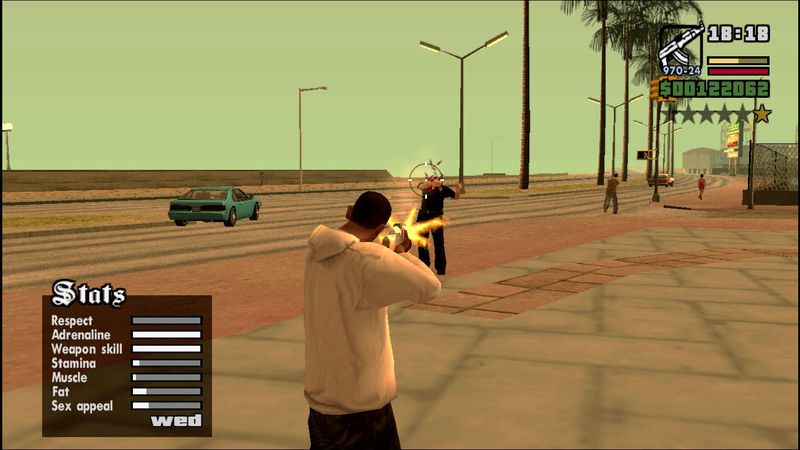 GTA V abilities also present in this mod, albeit with different name, which is also adjustable to use custom names. Oh its you, haven't seen you since my hitman mission mod. Just wanna say i used your V ability script as early reference back then and develop mine from there. Be aware, as each update rewrites the main script and CLEO can't load stored data to modified script, Special stat you gain will reset and wiped clean everytime you update (replace the files). Just a reminder that i'll always appreciate any feedback and any bug/glitch reports. Special Adrenaline v3.5 it is compatible with AceHUD? Sadly, Special adrenaline does not compatible with Ace HUD. At least not for now. Oh, my bad on that part, i forgot to edit the config loading line from 3.1.1 update. Special Abilities updated to v3.1.2. Fixed config entry read mistake. Special Adrenaline now supported by Ace HUD.